It's the season that we wait for all year in Mobile, Alabama. It's fun. Mardi Gras in Mobile filled with laughter and smiles. Giggles and excitement. Every year it brings out the kid in all of us. It's a tradition. Year after year the parades bring crowds from all around. It brings families together. It brings friends together. The sights of the colorful floats. The smells of street vendor sugary food. The sounds of the crowd as they scream and yell. 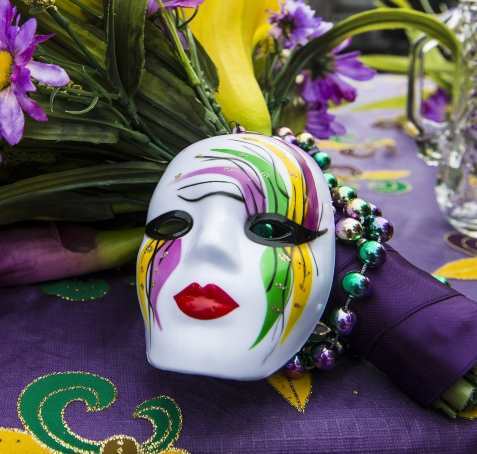 Mardi Gras is a tradition that brings back memories and let's you create new ones. It's our heritage. In 2018, you'll find Mardi Gras parades and parties all across the United States and all over the world. Tens of millions of people all experience and see the sights and sounds. And there's one small thing. All of it started in Mobile in 1703. And since then for hundreds of years Mardi Gras has been spreading joy. Here at Toomey's Mardi Gras, we've been serving Mardi Gras for 40 years. We're blessed to call Mobile our home and we support Mardi Gras in every way we can. We're the one stop shop for all your Mardi Gras needs. You'll discover everything from throw beads, handstrung necklaces, candy, costumes, hats, masks, and moonpie. And that's just the tip of the iceburg. You'll find everything you need on our website or at our store, located at 755 McRae Ave, Mobile, AL 36606. If you're looking for Mardi Gras throws, accessories, or anything else Mardi Gras related, then you can get it at Toomey's Mardi Gras. And now, you'll find the 2018 Mardi Gras Parade Schedule below. Use the schedule below to plan your fun this 2018 Mardi Gras seasons. Note: Unless otherwise noted, all parades are on Route A. Parade schedule dates and times are subject to change. - Mardi Gras Day FAT TUESDAY!